Released in 1989 Christmas Vacation is the 3rd part of the popular National Lampoon’s Vacation series. By many fans of the Vacation franchise this one is considered the best and the IMDb rating comes in at a solid 7.5 just edging out the original’s 7.4. 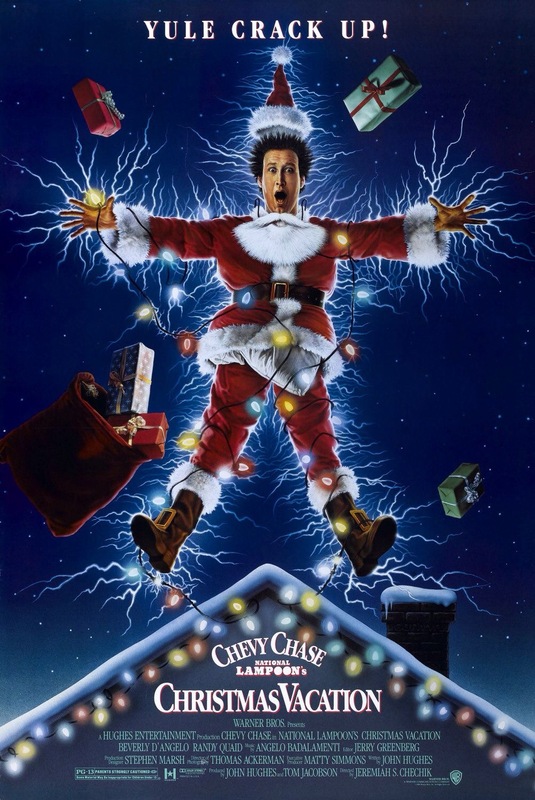 As much as I enjoyed Christmas Vacation I can’t really agree with the majority on this being the best of the series, but regardless it is still a solid and very entertaining film and is very much classic John Hughes. In some ways with the 80s ending the classic era of John Hughes ended as even at this time he was starting to move away from teen films and started to focus more on adults or adult issues and by the 90s Hughes would begin to write much more family themed comedies. After taking a trip to Wally World than Europe the Griswold family stays home for Christmas, but are joined by their families including Cousin Eddie (Quaid). And just like how the Griswold’s vacations turn into chaos so does their Christmas gathering as whatever can go wrong often does. The screenplay by John Hughes is well written with some truly memorable characters. In the good portion of the films Hughes wrote they all have a certain theme and you know a John Hughes film when you are one, but yet despite certain themes these films never seemed like a rehash and have their own identity, which just goes to show how great of a writer John Hughes was since other filmmakers that use a lot of the same themes it becomes tiresome and feels like the same exact script being written over and over again, but Hughes 99% of the time always made his trademarks feel fresh each time out. The screenplay for Christmas Vacation is excellent, but than again its John Hughes so its expected. The script is quite funny with some of John’s best dialogue as mentioned the characters are strong and while like many of the scripts by John Hughes it can be a little over the top, but yet it works well. Christmas Vacation marked the directorial debut for Jeremiah S. Chechik who would go onto direct such films as Benny and Joon and Diabolique and Chechik has also directed various TV shows including the Bronx Is Burning, Gossip Girl, Chuck and Burn Notice. Sometimes filmmakers make their best film with their debut since they might take chances they normally wouldn’t with more experience. However there are also times where while the film can be well made and even a good film there might be that little something missing and for me that describes Christmas Vacation. Jeremiah S. Chechik delivers a well made and generally well paced film, but it just lacks that extra something that keeps it a good film. There are some really hysterical moments, but the production just feels a little restrained and perhaps that could be due to the PG-13 rating, but for me this one really doesn’t differ from the previous two and while the original was R-rated, European Vacation was also PG-13. While Chechik makes a fun film that’s high on the re-watch factor, but I think a director with a little more experience may have gotten a little more like even perhaps John Hughes. Regardless, Chechik delivers an entertaining film that’s essential christmas time viewing. Overall Christmas Vacation is a highly entertaining film with a terrific cast and top notch writing from Hughes with no shortage of quotable dialogue. While I cannot rate this as highly as many seem to, but I still found the film a lot of fun. As mentioned perhaps a more seasoned director could have gotten a bit more, but what we do get is good enough.